A few days ago started a new server, "THE VALLEYS". It is a sandbox server, inspired by Anarchist Vanilla Server, except it's not entirely vanilla and not entirely anarchist. While I initially intended it to be a vanilla server, I got bored and added more stuff to it. Don't worry, it will not have as much as The Creative Gardens does, and lacks the plantlife, moretrees, and tiny trees mods which make Creative Gardens beautiful but slow for mobile users. For this reason users get 'fast' privileges by default on The Valleys, which is not granted on The Creative Gardens. It is a sandbox server, but has the anti-lava dumping mod, and fire and tnt are disabled. Obvious griefing (like pit griefing, water dumping, and misuse of the streams) are still prohibited. The "spawn pit" and "spawn building" are obviously protected. There is damage on the server, but no PvP. The Valleys is so named because it uses the rarely-found valleys mapgen. Mods which are used include homedecor_modpack, signs_lib, boost_cart, coloredwood, farming redo, unifieddyes, moreblocks and moreores, as well as the standard admin stuff. The standard animals mobs are also included, these provide food for health and a lot less work when you need wool. In late 2017, fish and horses were added. As of 7/14/17, travelnets were added. No screenshots will be posted, due to it being a sandbox server. Last edited by redblade7 on Tue Jul 31, 2018 05:11, edited 9 times in total. P.S i stole her line. 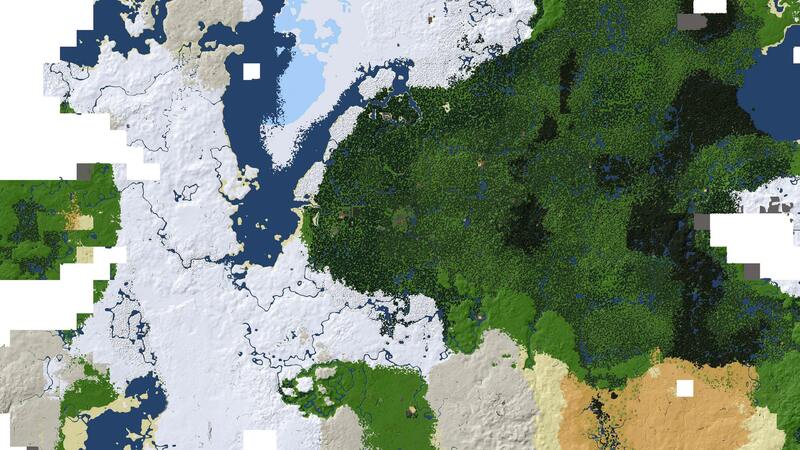 I have just added Travelnets to the server. Last edited by redblade7 on Wed Aug 09, 2017 01:20, edited 1 time in total. Nyan Cats were deleted from the official Minetest game for legal reasons, and are only available as part of a "PB&J Pup" mod, a proposed replacement for Nyan Cats that everyone hated. I was one of the few people who liked PB&J Pup. As the Valleys and The Digital Farms were only a few months old, I just got rid of the Nyan Cat/PB&J Pup mod completely. This is being done more as an act of protest. While most people will say "I'll just put up the video again or torrent it" I'm the kind of person who prefers "I don't want to support you or your videos, if I buy it at all it'll be second-hand from eBay"
The shared locked items and locked travelnets were removed as they have bugs and fail to store names. Last edited by redblade7 on Fri Nov 10, 2017 21:46, edited 1 time in total. Last edited by redblade7 on Tue Jul 31, 2018 05:12, edited 1 time in total. Just a note that a lot of new stuff was added between December 2017 and January 2018, including full-size unified_inventory, waypoints, armor (no pvp), horses and more. As The Valleys is a sandbox server, people generally stick to the same areas and it isn't populated. Still it's fun to look at. EDIT: Apparently 4K is too big for imgur, so the full resolution is scaled down (it's still a lot more than 1080 so it doesn't really matter that much :) Anyone know of other image hosting that will cover 3840x2160 and will give me thumbnails? Yesterday I discovered a typo introduced late February 2018 which had caused additional slowness. This has been fixed as of May 9, 2018. Valleys will be migrated to Minetest v5 on Wednesday, March 6. After this date you will need to upgrade to Minetest v5 to connect to the server. redblade7 wrote: Valleys will be migrated to Minetest v5 on Wednesday, March 6. Done. The server is temporarily renamed "THE VALLEYS v5" in the list. I recently came to the realization that I have been overly strict with griefers. For this reason I have removed most bans from The Valleys (which is a sandbox server anyway, and I was less strict there). From now on the majority of bans will be temporary, either 3 months or 6 months.